With new platform updates being rolled out seemingly everyday, a common question among online marketers is, “So what’s the one thing that’s totally crushing it on Facebook ads right now?” Here’s the annoying truth: The answer is always changing, and even more annoyingly, the answer depends on whom you’re asking. For example, “totally crushing it” means different things to different people. For direct-response advertisers and e-commerce business owners, it’s likely whatever tactic drives the most high-quality conversions, clicks, engagements, and ultimately, sales. Furthermore, Facebook has dozens of ad unit types and audience combinations, so drilling down to “one thing” that suits all advertisers is nearly impossible. Running effective campaigns will continue to be challenging and competitive for Facebook and Instagram advertisers, both in ad cost and inventory, and it’s very clear that marketers must iterate and innovate at a rapid scale. It’s important to remember that Facebook truly wants its advertisers to succeed, though, because the company’s recurring annual revenue depends on robust advertising. As a result, the company routinely tries (sometimes successfully, sometimes unsuccessfully) to provide a glimpse into the new ad units they want advertisers to run, the creative assets they want marketers to focus on, and the strategies they encourage folks to try. 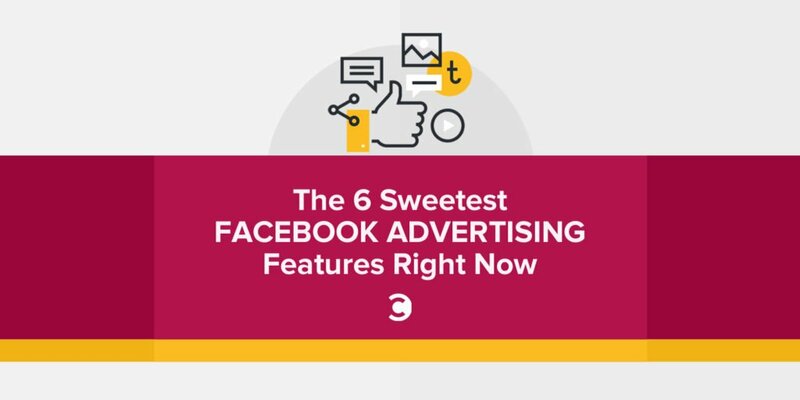 So let’s dive into the Super Sweet Six: Facebook’s best features right now. All of these features are still relatively new, but they have also been around long enough to be tried and tested by advertisers big and small, which is roughly three months. Here’s an important note for non-U.S. advertisers: Some of these features may not have launched in your area yet, but hopefully will soon. Here advertisers can target users who have taken previous actions on an ad, page, or Facebook-created asset within a certain period of time. 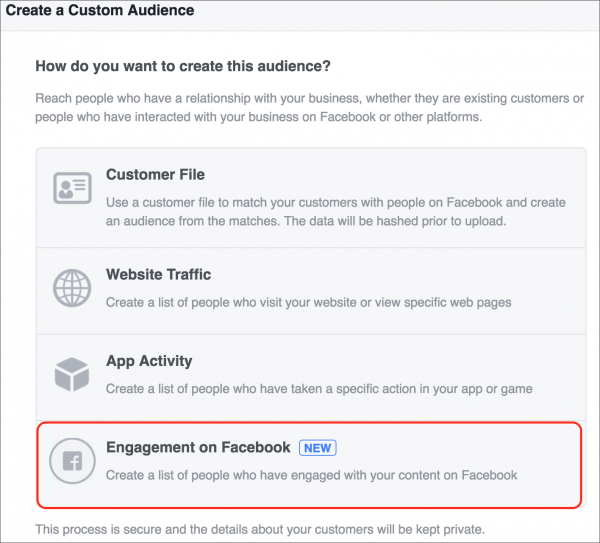 This targeting option includes people who’ve interacted in any way with your Facebook page, people who’ve opened but not filled out a lead generation form, people who’ve opened a Canvas, and people who’ve watched a certain percentage of one or a combination of Facebook videos you’ve launched. Here you can create an audience of people who’ve come to your site and spent the most time on your website within a certain timeframe. This feature includes the ability to gather top website visitors into your best five, 10, and 25 percents. It’s a very powerful tool because it utilizes the power of the Facebook pixel by enabling the platform to know who is spending the most time on your website. The most important thing to remember with Time On Site Custom Audiences is that this feature now functions differently than just a few months ago. Before, if a user visited your website once, or a user visited your website dozens of times, Facebook still considered those users in pretty much the same vein, even though their online habits denoted different interest levels, purchasing history, a website’s “stickiness” factor, etc. Now they can be segmented and targeted into unique groupings. These audiences live within the Website Custom Audiences creation area of the ads manager. 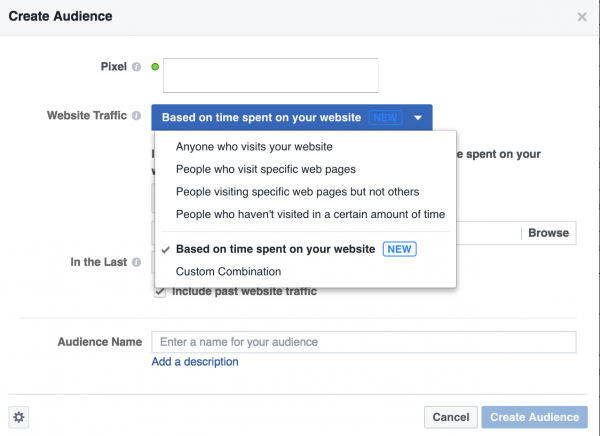 It’s a fantastic new feature because it allows advertisers to create an audience based on actions taken with a URL or event as tied to the Facebook pixel and the number of times people have visited that URL or activated that event within a certain amount of time. For example, let’s say you want to target people that have visited your home page or your blog page three times over the last 60 days. Let’s say you also wanted to combine that audience with people who have visited your “contact us” page at least once in the last 60 days. Combining these two audiences allows you to create a more encompassing, more powerful targeting tool. Side note: One of my personal favorite uses of Custom Combination Website Custom Audiences for direct-response e-commerce is if a user has added certain items to a cart or initiated a checkout at least two times within the last 30 days. This signifies how truly valuable that user is because one, they have already initiated the checkout, and two, they haven’t completed it and still need to convert. 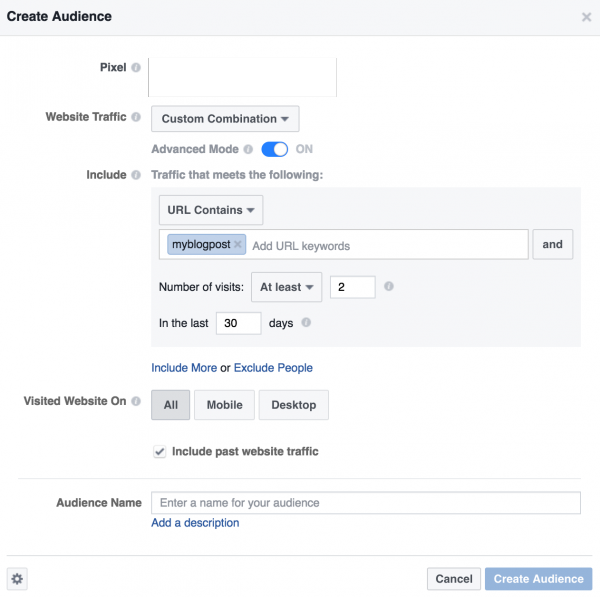 Not all Facebook ad objectives are created equal. The majority of direct-response advertisers use a combination of Conversion, Traffic, or Video Views as the main objective for their ads. 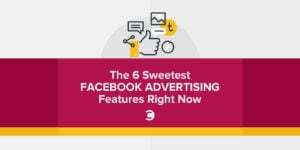 However, last year Facebook privately shared with their top spending advertisers the fact that up to 60 to 70 percent of users “don’t lie within an action-based objective.” This means targeting those users for Conversions, Traffic, or Video Views might not be the most cost-effective way to spend your ad dollars. That said, advertisers can still successfully target these hard-to-find users with the new Reach objective, which is optimized to show the ad to as many people as possible. Here I must credit Antonio Callero, a good friend of mine who’s a guru at AdEspresso. He and I recently discussed the Reach objective, along with the Brand Awareness objective, because over the holidays we experimented with using Brand Awareness and Impression bidding to successfully stay in front of our lower-funnel audiences. This strategy worked very well because there is so much competition for the other objectives during that time. You can now send ads to users who’ve sent your Facebook page a message within a certain time window. You can show an ad to people who have sent you a message in the last 30, 90, or even 365 days. This powerful new ad unit is undoubtedly going to expand as time goes on and News Feed competition increases. I recently launched Messenger Ads on behalf of a client to follow up with and thank previous customers who had sent a message in the last 60 days, many of which were mainly complaints about a shipping error or delay. We provided a discount code in the ad, which was redeemed by nearly 70 percent of all message recipients. In this test, the cost per acquisition (CPA) was as much as 60 to 80 percent less than that of a traditional mobile News Feed ad. At this point, however, Messenger Ads don’t scale as much as other ad units, due to being limited to those who have previously messaged you, but they are a great feature to test and add to your Facebook marketing mix. Collections are ads that feature different items within your e-commerce product catalog. They signal Facebook’s ongoing effort to keep users engaged and shopping directly on their platform, and not let users leave Facebook if they don’t have to. One of Facebook’s key numbers that has been increasing in recent years is the average time a user spends on the platform per day. This up-tick is due to more engrossing ad units, instant articles, and other immersive experiences, such as Canvas. Although the Collections ad unit is still in beta and is a bit complex for advertisers who haven’t yet set up a product catalog, it gives a glimpse into where Facebook is headed with online shopping. Andrew is the co-founder of Foxwell Digital, a social media advisory firm based in Madison, Wisconsin. He collaborates and consults with Fortune 500 companies, globally recognized nonprofits, e-commerce entrepreneurs, and local startups on Facebook and Instagram advertising, online fundraising, and digital marketing strategies. He has been advertising since the start on Facebook and has spent over $100MM through the platform. He's also a doodle dad.